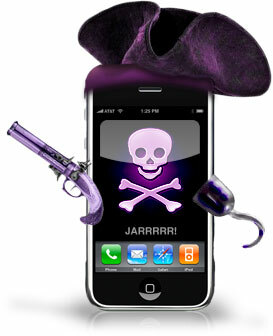 It seems as ifGeorge Hotz has taken it upon himself to create a new iPhone 3GS unlocking solution which he calls purplesn0w. It seems the original iPhone hacker and creator of the jailbreak software purplera1n, was once again not happy with the Dev Teams software, this time it was their unlocking tool, ultrasn0w. blockquote>First off, what is purplesn0w? It's a soft unlock for your 3GS that I'd actually use day to day. It's not a daemon that takes any resources, and it doesn't add a task to your baseband. It's very close to a true unlock. All it does is patch three files, CommCenter, lockdownd, and your wildcard activation plist (which you need, activate w at&t sim first, no hacktivation support yet). That's it, no other files are installed. So as you can see Hotz needs to do some more tweaking to get purplesn0w in pristine full working condition. If you do choose to use this software now be prepared to jump thru a few hoops such as having a legitimately activated AT&T sim card. On the bright side - Hotz claims that all of the issues people have had with ultrasn0w, such as Wi-Fi loss, battery fails, unlock fails, etc... are now gone if you use his unlock. If you can hold off for a day or two, do so as Hotz will release an update according to his twitter account. For the full details on purplesn0w be sure to check out his blog. In the meantime, the competition is heating up between the Dev Team and Mr. Hotz. It's time to sit back with some popcorn and enjoy the show!